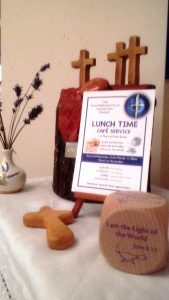 Please do come and join us for a short act of worship and lunch. We meet on the second Wednesday in the month and all are welcome. Sandwiches, savouries and cakes are being bought in and a donation towards this cost may be made. We will meet in the Lecture Room at Over United Reformed Church at 11.30am. 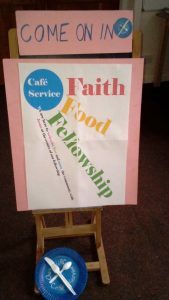 The next Café Service will be held on 8 May when we will be led by Mrs Simone Burrows.